For years I’ve been banging on in blog posts and articles about the importance of exercise for MSers but how much exercise do I actually do? Now I find myself with a whole day to myself since my daughter has started school so I’ve taken up Pilates and it’s making a difference after only 3 sessions. I’ve never found classes particularly helpful, even the ones held at my local MS treatment centre. This is because there are 20 “students” and one teacher so it’s fairly easy to lie on my back and pretend to do all the exercises. I’ve often left a class thinking, “Phew, that was easy” never having done any genuine Pilates at all. Even when the teacher catches me snoozing at the back and forces me into various poses it isn’t really enough to make any real difference. There’s also the effort involved in getting to a class, getting down on the floor in a dignified fashion, doing all the “exercises” then getting up again. Just thinking about it would put me off going and I would justify it by thinking about the fatigue I don’t feel as a result of my laziness. It’s also vaguely humiliating being in a class of 20 disabled women and being the only one who can’t do it! I still have my pride even if my mobility is shot to bits! Anyway, I was chatting to a fellow MSer a few months ago who’d invested in a course of 6 private sessions and went from needing a walking stick to not needing one at all! This got me thinking about my own situation and wondering if I could achieve the same results. I’m being realistic, I don’t expect miracles but it would be fantastic to lose one of my sticks or even just feel stronger and less vulnerable with two. Luckily my friend happened to know a Pilates teacher who was happy to come to my house and was free on Mondays. I’m amazed at how quickly I can feel the results. I feel stronger and have more energy. She’s targeting my core strength which should help with balance and focussing on other problem areas like my legs and feet. The sessions are around 90 minutes so I’m getting my money’s worth at £60 a session but she’s also developed a programme for me to do every day. It’s hard getting down on the floor every day but I also have a number of exercises I can do sitting on a chair so there’s no excuse not to do something every day. It’s pricey so I wouldn’t be able to keep it up forever but I’ll probably see her once a month to keep me on track once the 6 weeks is up. I’ll keep you all updated on my progress but I’m hopeful of great results. If not there’s always wine! ← What does “fully accessible” actually mean? This is a good topic for those of us with MS. 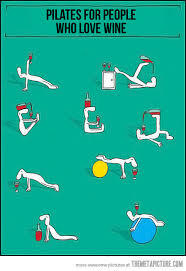 I find Pilates to be wonderful. I go to a class at my local MS association every week. I also have some books and DVDs that allow me to do 15 minutes on the mat at home. It definitely makes a difference to me. I did Pilates before being diagnosed with MS and was doing it fairly regularly during the time when I had my first two episodes. My second episode, when I was diagnosed, was a bad one. I was unable to walk more than a couple of steps to get to the bathroom. A physiotherapist came to evaluate me in hospital and asked to see me walk. She observed me carefully and then said, “You do Pilates don’t you?” I agreed that I did. She then informed me that if I hadn’t been doing Pilates, she didn’t think I’d be able to get out of bed and walk the couple of steps that was all I could manage. She said that she could see how I was using my abdominal muscles to support myself and that Pilates had helped me to do that. 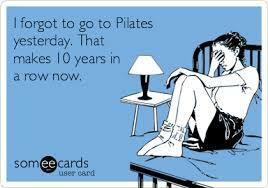 That’s been a huge encouragement to me to continue doing Pilates now! Thanks for your comment! I was doing so well but started new meds which made me feel terrible so got right out of the habit. I’m going to start again as I was even finding stairs more easy!